Wrote a complaint to BBC. This lack of regard can’t go on. I wish to make my feeling known that I am thoroughly disappointed to see no sign language provision for such an important event. Mandela represented freedom from oppression and celebrated diversity. I am crestfallen that South African news saw fit to provide sign language in their news segment where BBC did not. BBC is supposed to be world leader in terms of broadcast quality and reach but unfortunately you have failed to step up to truly reflect the true vision of Mandela’s philosophy which is to be inclusive. Pleased correct me if I am mistaken in thinking BBC is a public service where we have TV licence users who’s primary language is British Sign Language. Deaf News: ‘Fake’ sign language interpreter mars Nelson Mandela service for Deaf people worldwideFor many UK-based Deaf viewers of the Nelson Mandela service today, something didn’t seem quite right about the sign language interpreter (scroll down for video) who stood to the side of the various speakers, ‘interpreting’ what they were saying for the benefit of South Africa’s Deaf population. Hello…..hellooooooo *echoes bounced off the empty auditorium*. I won’t be surprised if no-one here to read this. I haven’t flexed my writing skills for a long time which, since I last wrote, have been mainly confined to writing rapid-fire emails in my line of work. I absolutely agree with the sentiments and the necessity for various orgs and bodies to write in to express their concerns about the latest portrayal of a child being used as an involuntary sign language interpreter in a recent Holby City’s episode surrounding a deaf father undergoing a heart op. It is good to educate the people who made it. While we are expressing our dismay and horror about how negative this portrayal have turned out to be and bite our nails whether this is laying down precedence and further malpractices, I can see how we can turn this into a useful platform to bolster the case for better and accessible services within the public health services. After watching a See Hear segment which covered this episode behind the scene, following Memnos Costi and his talented daughter, Kachina. It doesn’t strike to me that the Holby City team have gone about and blithely nailed down this story as a normal everyday theme. I believe they are actually deliberately making a snapshot of what does goes on within our wards which have, unwittingly, provoked a strong debate about it. Of course, this recent episode goes against the grain to our aspirations of what make a good health service. Holby City isn’t a mainly aspirational program as it tackles different issues each week and I am sure we are not the first or last people to complain about their portrayal of different issues. This shouldn’t be the end. This is gold dust for our campaign for better access to health services as it is all laid out before our own eyes of what can go wrong by not providing an accessible health service. We should lobby the Holby City’s writers to make a follow up story. We should lobby health care professionals showing an example of bad practice. We should lobby to raise awareness of the importance for front line NHS staff to quickly provide the right and appropriate communication support as too often they just don’t do it. We should lobby the commissioners and NHS procurement teams to highlight the dangers of a weak and inefficient supply chain which undermine provision of appropriate qualified sign language interpreters through cost-saving. We can think plenty of scenarios to follow up this episode featuring Memnos and his daughter. Don’t let this golden geese run away from us. Any publicity is good. Firstly, I was recently told that a couple visited a deaf unit in a large mainstream secondary school and was told that the County Council feel there is NO need to provide full time communication support because they consider all the deaf children and young people are able to “cope” with their digital hearing aids or cochlear implants when “listening” to the teachers talking! I was very shocked as this seems to take our deaf children back to how it was 100 years ago! Secondly, I am the father of little partially deaf boy and have witnessed parents of my son’s deaf friends not fighting for the inclusion of communication support in their child’s SEN statement. They seem to assume that the deaf unit is sufficient for supporting their deaf children, but the unit does not have enough funding either! My wife and I have fought for many months to make sure the school includes specific support in our son’s SEN statement, which has certainly helped my son achieve in his education at a level equal to his hearing peers. So is this an expensive option? The BDA, NDCS and other organisations have to work together, to fight and safeguarding our deaf children’s future – to ensure they get all the support they need and stop local education authorities reducing their access and support! Therefore, if you are a parent of a deaf child, a deaf ex-school pupil, or a deaf ex-mainstreamer, or a friend of deaf people experiencing poor educational support and share similar concerns to my own Please go to http://epetitions.direct.gov. uk/petitions/34073 It only takes a few minutes and anyone in the UK can sign the petition! There’s no age limit, so please pass this on to your friends, family and contacts and ask them to sing it and then pass it on too. Your signature –and those of your friends – really will make all the difference. I understand that the NDCS needs 100,000 signatures to force a debate in the House of Commons about cuts which are leaving deaf children without the support they desperately need. Already, deaf children are twice as likely not to achieve 5 good GCSEs compared to their hearing peers – yet deafness is not a learning disability. A debate will compel ministers to explain what they will do to protect deaf children’s services; similar petitions have generated massive publicity and ultimately changed government policy. Please click on http://epetitions.direct.gov.uk/petitions/34073 now. This may be our only chance to force ministers to save deaf children’s futures. Please help the Campaign! Remember when I fired off a letter to my local MP about my concern of the Youth Contract? I got this letter from my local MP. Chris Williamson (Labour), who have been busy following this up. 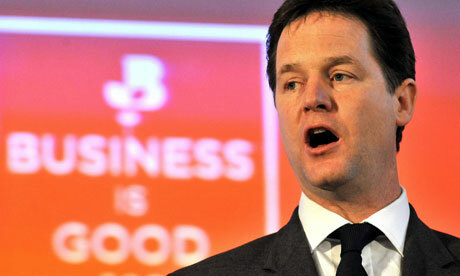 Attached to this letter was a corresponding letter from Nick Clegg, Deputy Prime Minister. So changes are coming. I do hope this is not under the guise of Access to Work being made available for those seeking work experience/placements. However, it is encouraging to see that writing to your local MP does have some merits. I queried Google Play about making their films database searchable for captions/subtitles. This is their response. Thank you very much for contacting me this evening. Currently, closed captioning is available on a portion of our content. Accessibility of our products is extremely important at Google, so we’re working hard to expand our closed captioning offerings, and make it easier to search for them on Google Play. If you have any further questions, I’d be happy to help. Recently, I complained to the Government’s epetitions about the use of Captcha and whether it was necessary especially when we are providing our home address. I brought this up as I am aware that Captcha are a bugger to use for people who are blind/deafblind/usher. So I fired off a short but concise email – hoping that it will makes some difference. Thank you for your message regarding e-petitions. I am sorry that you are experiencing problems with the site, and for the slight delay in responding to your e-mail. We have recently introduced new anti-spam ‘captcha’ software, following the previous software used on the site becoming more difficult to read. Any ‘captcha’ software is necessarily somewhat difficult to read, as it is intended to reduce the risk of automated systems being able to fraudulently add signatures to the site; however, we do monitor the software and will consider alternative options if this too becomes too difficult for users to read or listen to. If you are continuing to experience problems with the captcha software, the following solutions may help. If the text box is not visible, you may find that forcibly refreshing the page (Ctrl+F5 on Internet Explorer, for example) will ensure it displays. Alternatively, if you use advert blocking software in your browser, you may find that disabling this will allow the text to be visible. Our technical team are looking into reports that some browsers are not displayed the captcha, however this does not appear to be happening routinely with any specific browser. If you are unable to read the text, links below the text box allow for alternative combinations to be displayed. In many cases, errors occur when users may misread the letters L, I and the number 1, or the number 0 and the letter O for example. If the text is too obscured for you to read, an audio version is also available. If none of these options work, you can respond to this e-mail with details of your name, address and a link of the petition you wish to sign, and I will be able to manually add your signature. Finally, in some cases, individuals have contacted us, believing to be having problems with the captcha software where in fact they had already signed the e-petition and the error messages normally reflect this. These cases are especially frequent for e-petitions backed by large organisations who send repeated e-mails to members/customers/supporters to sign their e-petition. If you are attempting to sign an e-petition as a result of an e-mail sent to you in this way, you may wish to check your previously received e-mails from the e-Petitions website to check you have not already signed the e-petition. I am writing to you to express my concerns regarding the eligibility of the new Youth Contract, as announced this week by Nick Clegg. I am also writing in my capacity as a Deaf Employment Consultant. As it stands, the youth contract offers wage incentives to employers worth over £2,000 to 18-24 year old clients, but the incentives are only currently available through Work Programme and not to young disabled people on Work Choice. I deliver ad-hoc specialised employment service in British Sign Language on the Work Choice’s route. I deal with customers who are very capable of working as long as the right support mechanism are in place, with assistance from Access to Work. With this initiative by Nick Clegg, the task of finding gainful employment among Deaf and Hard of Hearing have been made immensely more difficult To stack the odds in favour of the non-disabled jobseekers, this is tantamount to discrimination and a policy only to serve to drive disabled jobseekers further from the job market. I would be grateful if the Labour Party is to make endeavours to redress this inequality. This is my recent contribution I made for the Limping Chicken website. Hello! I’m Tony Barlow, an employment consultant with 10 years experience of working in employment for deaf people. 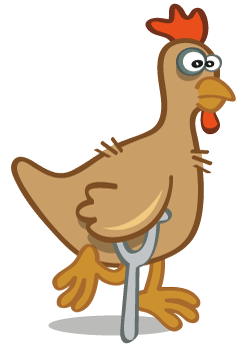 My goal in writing for Limping Chicken is to cover issues relating to employment, jobs, careers, work experience and UNEMPLOYMENT. Ugh – that word which has cast dark gloomy clouds across this proud but fragile country. Even if you are currently working, there is a good chance you know someone who is recently unemployed, or has a job which is under threat. Or is sending endless job applications and not getting a bite. It is hard to avoid that widespread feeling of job insecurity while the economy struggles. Employers are pruning their staff and surviving staff are being forced to do more work for same money. The fortunate ones with job security are usually your funeral director or a bailiff…..or even that reviled figure of an investment banker. It’s not easy to feel confident about our future when the news is reeling off reports of rising unemployment levels, benefits being cut back and 300+ applicants chasing after an unskilled job. Furthermore, with 2.7 million looking for work, the competition is intense for an average deaf and/or disabled jobseeker. If you are currently unemployed, I wouldn’t be surprised if you’re feeling quite desperate and are worried about finding meaningful employment these days. How do I know? Because I am one of them. Hopefully not for long – I am working on setting up a new business relating to employment. Looking for a job when you are deaf, is in my view, made harder when JobCentres are lacking in Deaf awareness and are poorly equipped to support deaf jobseekers. They often do not provide equipment or telephone support when you have identified a job worth applying for. In my experience, DWP Call Centre staffs can also be unhelpful when you make a relayed call about a job advert or benefit enquiry. Disability Employment Advisors are often over stretched and their knowledge of supporting deaf people can be limited. It wasn’t long ago, when applying for a job was more simple and straightforward, involving sending a CV with a covering letter, or a paper application. It’s harder for deaf people to navigate their way through a quagmire of psychometric assessments, telephone interviews, time-limited online questionnaires and applications, group interviews and presentations. These need bags of confidence and can be made tougher if skills if English language skills are not one of your strong points. After 6 months on the dole, a deaf jobseeker can find themselves placed on a Work Programme or Work Choice. There is no assurance that you will meet an advisor who will understand your barriers and communication needs (except for isolated cases in some areas of the UK, through sheer determination of its local deaf organisations). It can be a postcode lottery. There appears to be no consistent national framework, which provides an appropriate and consistent support system for deaf people all over the UK. In recent years, the government – both Labour and Tories – have come up with three main employment programmes: ‘Work Choice’, and ‘Flexible New Deal’ which was subsequently replaced by ‘Work Programme’. These have created a network of private providers (for example, A4e, Serco, Shaw Trust, Ingeus, Remploy, Working Links, InTraining) looking to win contracts in different regions. Department of Work and Pensions expect the private providers to ensure their services are accessible. So the contract winners often bring in specialised subcontractors to address their access needs – and that is where Deaf/BSL using employment advisors like me, sometimes working for larger organisations, come in. The buzz words are ‘partnership’ and ‘chain supply’. There appears to be no genuine quality standard or accountability in place to ensure each provider can cater and meet the varying support requirements of a diverse range of deaf jobseekers. Therefore access becomes more patchy and often an afterthought whenever a deaf jobseeker come to them. As always, it can fall to the charities and deaf organisations to try their best to plug these gaps for deaf jobseekers. Not all of them do step forward or can afford to fund long term support until results come in. For instance, the Work Programme is only worthwhile when a jobseeker gets a job and stays in the job for up to 2 years. With specialised support for deaf job seekers hard to find, most deaf jobseekers will find themselves using mainstream services, where there is little expertise in supporting deaf jobseekers. While most providers are aware of their duty to provide access, interpreters or other communication tactics, it is not always effective. At the first appointment, not all of them know what to do when faced with a deaf jobseeker. Often, it becomes a learning experience for the (hearing) Employment Adviser. Deaf awareness is still sorely lacking in large parts – the hearing advisers don’t often know why it is important to use highly qualified BSL interpreters, and how to utilise the Access to Work(ATW) system. Further, they don’t always know what ATW can cover: job interviews, health & safety solutions (to overcome some employers’ justification in the unsuitability of having a deaf employee in their factory for example), and that some deaf jobseekers need extra support in English writing, especially in job applications, confidence building or to say the right things in job interviews. Despite the communication support/interpreter being provided or the advisor receiving basic Deaf awareness, the lack of in-depth knowledge and Deaf/hearing cultural differences remains the biggest pitfall. This can create a negative impact on the deaf jobseeker’s journey into employment. In my future blogs, I intend to cover more, in depth, on this subject. I feel that it is more beneficial for a specialist provider to be brought in (a service with a first-hand knowledge of deaf issues and/or BSL) as they offer empathy and have experience of overcoming the barriers facing the jobseekers. With specialist support being available nationally, the deaf jobseeker would start to feel confident straight away, knowing they are going to be getting expert advice, be understood and be able to compete for jobs on equal footing, instead of losing hope and motivation before they even get started. Deaf jobseekers usually are more willing to open up when they are dealing with a Deaf/BSL/CODA specialist provider. I know, because I’ve seen this for myself. Tony Barlow is an employment consultant of 10 years with extensive experience of working with private providers, having previously worked for RNID and Dering Employment Services. He is currently living in Derby with a Deaf wife and 2 little girls, and is planning to launch a new employment service soon. He tweets as @Saltbar, and is also a proud geek, online activist and an England rugby fan who, until recently, have stopped teasing the Welsh fans. The main differences that the organisation makes to the individual or their organisation are the ability to communicate and access to services (23 comments). Service users felt that cessation of the service would impact on their daily lives. In particular, individuals spoke about how much difficult it would become to access mainstream services (21 comments). Schools in particular also commented on the value of the organisation in helping them communicate to Deaf parents. The general public had very low awareness, and usage, of the organisation. There was a low level of feeling that the organisation has some impact or a big impact on resident’s wellbeing and that it should continue to receive funding. The survey responses by service users were re-enforced by two focus groups. For service users the organisation is felt to make a difference through its interpreting service by giving customers the ability to communicate and access to a wide range of services. Extend the existing agreement with Communication Unlimited for 12 months; 6 months at the current funding level, 6 months at 50% current funding level. During this period it is recommended that a new business model that obtains funding from organisations accessed by users is developed. Provide funding to Communication Unlimited to undertake the awareness raising and access to information and advice activities identified as a service gap. Ensure that the plan for the BSL service seeks to integrate with the action plan to improve services for deaf and hard of hearing/acquired deafness users currently being developed by the Disabled Peoples Forum working group. (Project group to include representatives from Deaf Forum, British Deaf Association, CamTAD). Ensure that services to BSL users also link to developments in the Council’s Customer Management Department to improve access for people who are deaf/hard of hearing. occur, users may have to be charged for services. Tapered funding supports the organisation to move to a new model of funding over a period of time allowing services to be maintained for customers whilst this transition takes place. In addition, the awareness raising and access to information and advice activities identified as a service gap should help to encourage organisations that interact with deaf people to implement or increase their access to a BSL service. Under the terms of Clause 12 (i) (Discrimination) of the Editors’ Code of Practice, “The press must avoid prejudicial or pejorative reference to an individual’s race, colour, religion, gender, sexual orientation or to any physical or mental illness or disability.” The concerns you are raising are slightly different, because of course the headline is not intended to suggest that Andrew Lansley is profoundly deaf; it is not a reference to any “physical disability”, to use the terms of Clause 12, of Mr Lansley’s. Rather, the issue is the use of the phrase “deaf and dumb” itself, in any context. I appreciate why you object to it, but in the first instance I would like to suggest that it may be best to write to the editor of the Daily Mirror, Richard Wallace, to express these concerns directly, as it strikes me that it would be difficult to frame an appropriate formal complaint under the terms of the Code. If it would be helpful, we would be happy to pass on such a letter to ensure that it does not get lost. The PCC is an independent body which administers the system of self-regulation for the press. We do this primarily by dealing with complaints, framed within the terms of the Editors’ Code of Practice, about the editorial content of newspapers and magazines (and their websites). We keep industry standards high by training journalists and editors, and work proactively behind the scenes to prevent harassment and media intrusion. We can also provide pre-publication advice to journalists and the public. The information contained in this email and any attached files are confidential and intended for the named addressee only. It contains information which may be confidential and legally privileged and also protected by copyright. Unless you are the named addressee (or authorised to receive for the addressee) you may not copy or use it, or disclose it to anyone else. If you received it in error please notify the sender immediately or the system manager (pcc@pcc.org.uk) and then delete it from your system. We make every effort to keep our network free from viruses. However, you do need to check this e-mail and any attachments to it for viruses as we can take no responsibility for any computer virus which may be transferred by way of this e-mail. Use of this or any other e-mail facility signifies consent to any interception we might lawfully carry out to prevent abuse of these facilities.